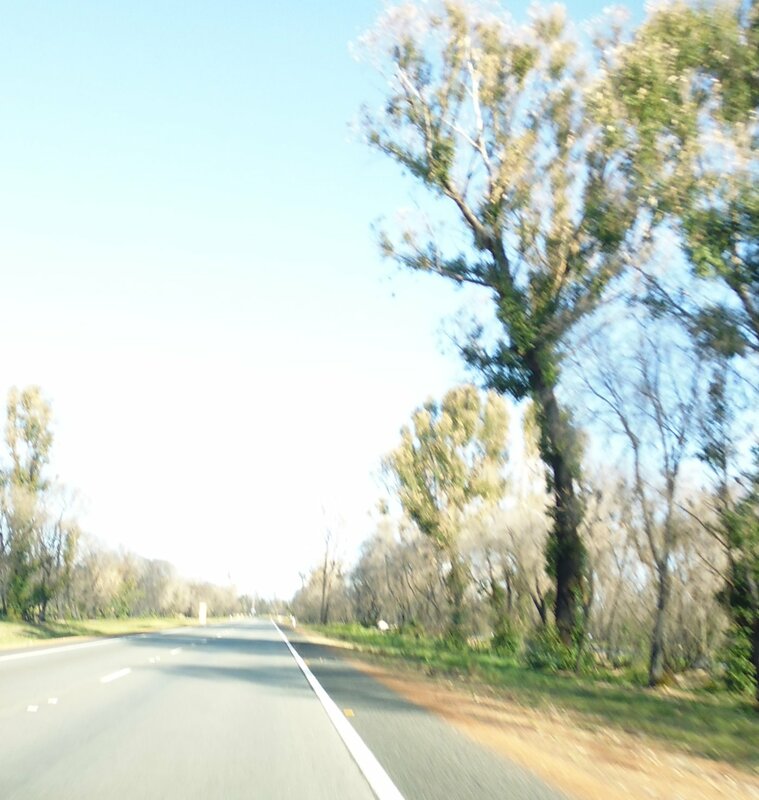 I drove to Perth on Sunday for a meeting. 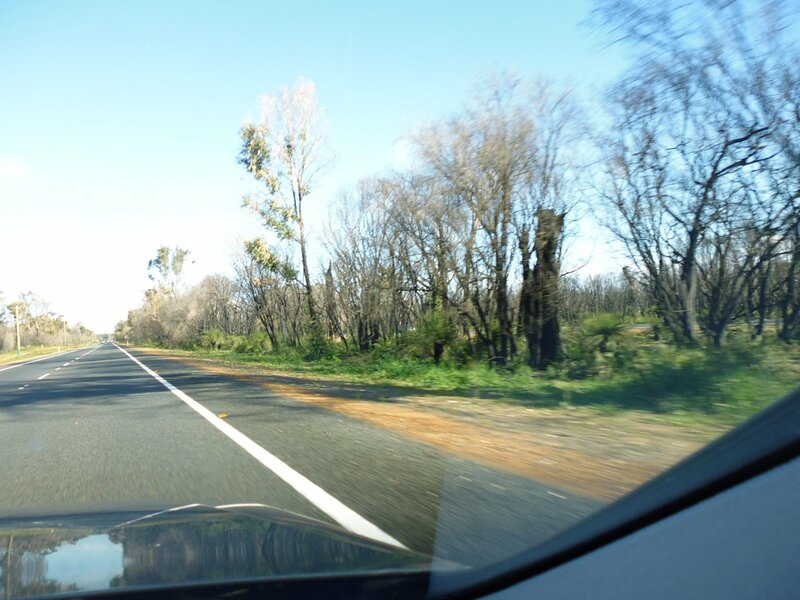 It was six months to the day since the bushfires swept through the Harvey Shire in Western Australia, taking out most of the town of Yarloop. 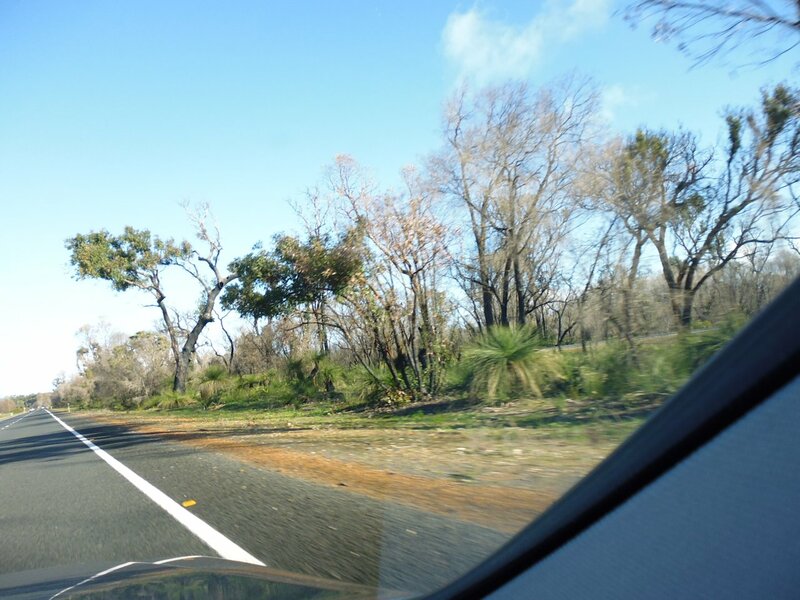 I only travelled on Forrest Highway and took some photos from the car of the regeneration of the roadside plants and trees. 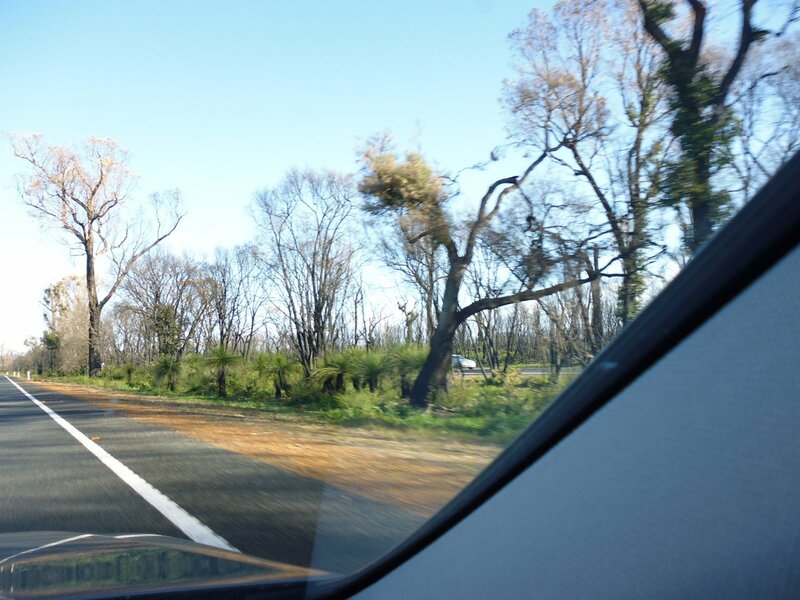 In the past few months, I’ve marvelled at the tenacity of the trees in particular as I’ve driven through the 20 km stretch where the fire took out almost everything in its path. Trees that looked like they were beyond saving started sprouting new growth along their trunks within a few weeks (they looked like they were in lime green knitted sweaters!). And zamia palms and grass trees (and weeds, of course!) 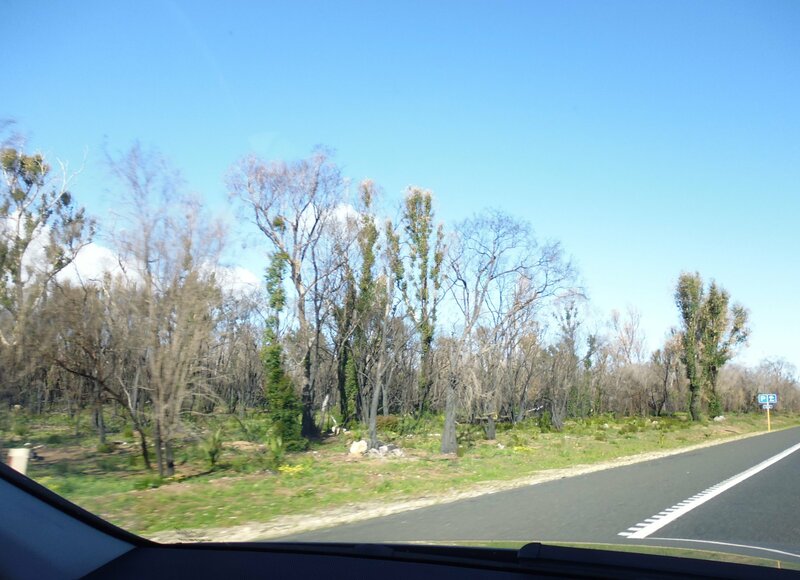 took on new growth too–in the case of the palms, many new ones grew as a result of germination by the fire and/or smoke. And below are some photos I took of the regeneration. The beautiful green is because we’re now in the middle of winter and that’s what our grasses do in winter.